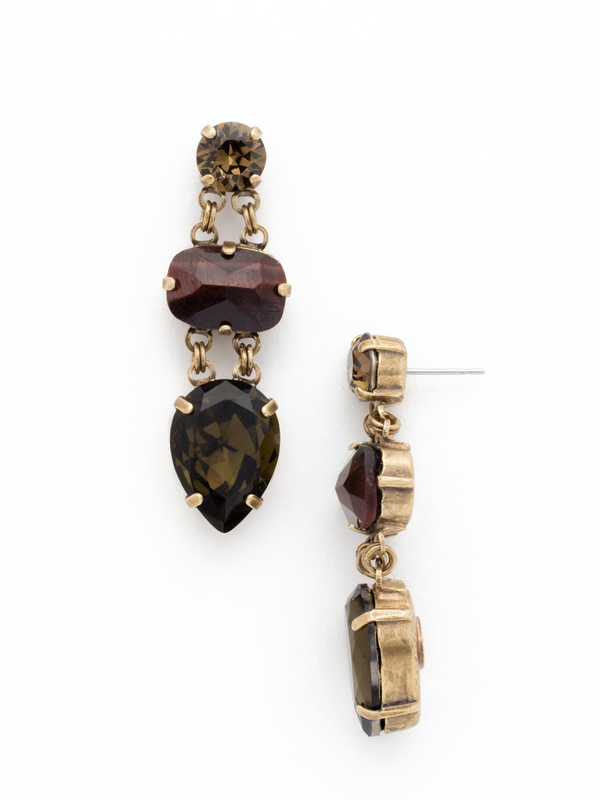 A classic chain link earring featuring a round crystal atop cushion and pear cut semi-precious stones. Due to the nature of natural, semi-precious stones, variations in color and pattern may occur. These variations make each Sorrelli piece one-of-a-kind!